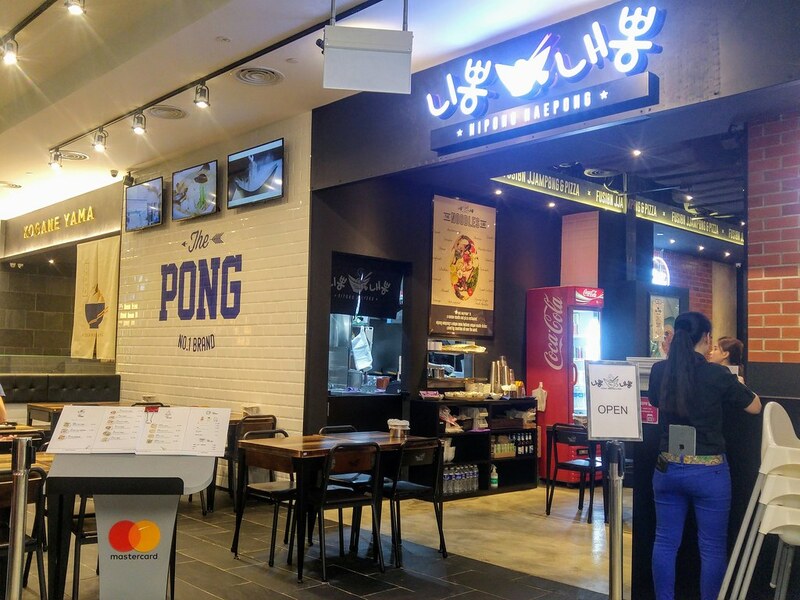 Jjamppong (seafood noodles), a traditional Chinese - Korean dish, has been remodelled in every possible, fashionable ways in the hands of Nipong Naepong at Jem. 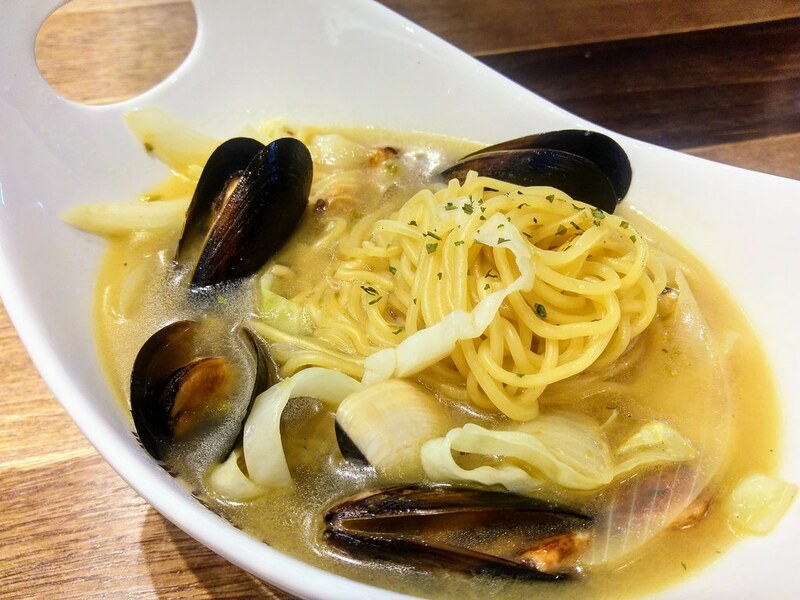 You have the Italian Vongole Ppong, Thai Tae Ppng, Japanese II Ppong, Western style salad Ppong ... you get the idea. 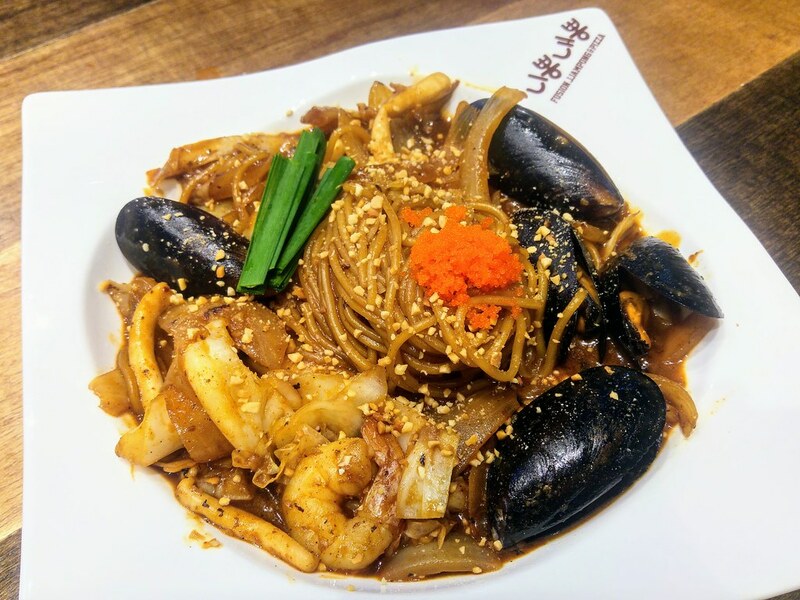 Each seafood noodles bowl comes with mussles, squid and cabbages. There is a reason why classic remains a classic. Identified with the 2 adorable quail eggs, the Cha Ppong, with its myriad of spices, piqued my taste buds in every sip. Though it left my mouth tingling with heat, its hard to stop slurping. It may hits me with prickling spiciness at one point, the sweet tanginess that follows makes it addictive. All the ingredients have been stirred fried before hand to achieve the wok hei taste and that really shines through in Vongole Ppong ($16.80). 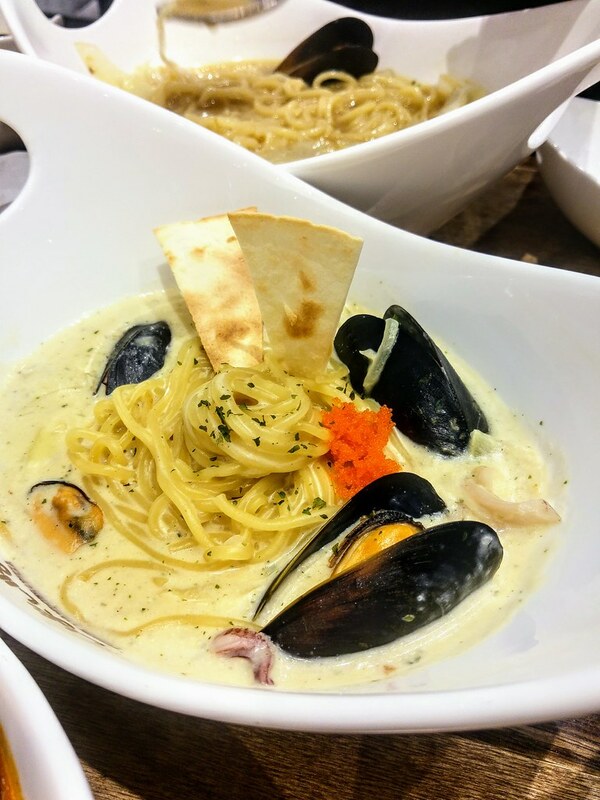 Instead of squid and prawn, this follows the Italian style of cooking with clams and spiked with white wine and garlic. The elusive wok hei is really pronounced in this dish, which gives this dish its characteristic. The hint of spiciness, which I reckon is that of a chilli padi, works in adding a dimension to the taste. 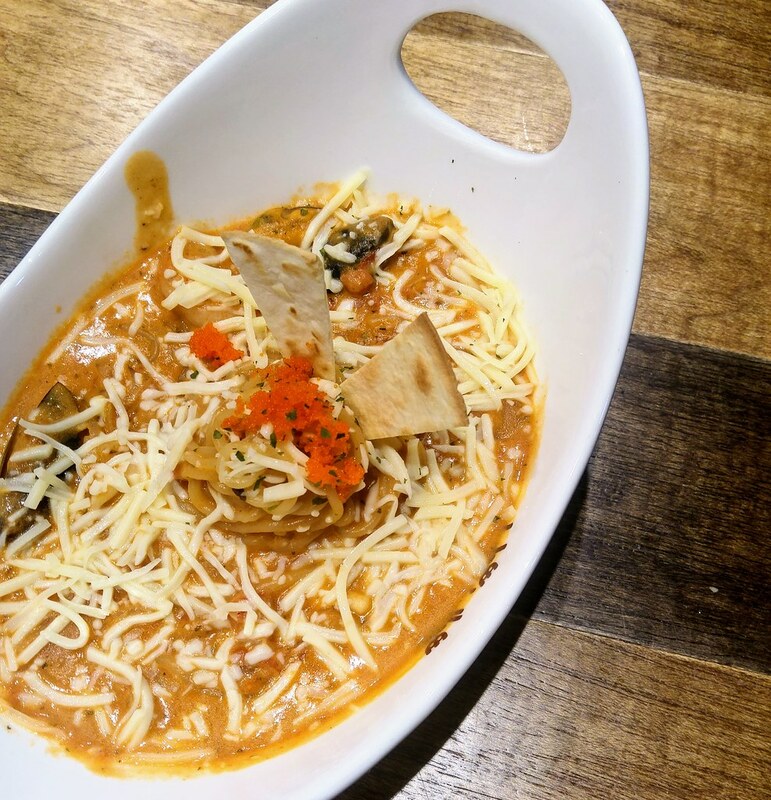 Ro Ppong-Roje ($17.80) may win you over with all the oozy goodness of the shredded mozzarella cheese overhead that melts into the sauce and coats the noodles as you stir them in. This 'pink' sauce ppong is a combination of cream and tomato puree, resulting in a sweet, creamy sauce with a tinge of tanginess. I would have loved it more should the tomato puree be a lot more stronger and more towards the savoury side. If you like Char Kway Teow, this Tai Ppong ($15.80) should be right up your alley. A Thai Style ppong that supposed to resemble Phad Thai, I find it so closely similar to the flavour of our Char Kway Teow! Keu Ppong-cream ($17.80) happens to pale in comparison with the rest. Perhaps I feel the punches of flavour is missing from the robust Cha Ppong, this Alfredo-Jjamppong style somewhat seems to be relatively bland, like noodles in concentrated chowder. There is no dessert served here but I would consider its Pizzas to be one. 4 choices available - Coco Pizza (coconut), Ni Pizza (sweet potato), Nae Pizza (garlic) and Ninae Pizza (Spinach). 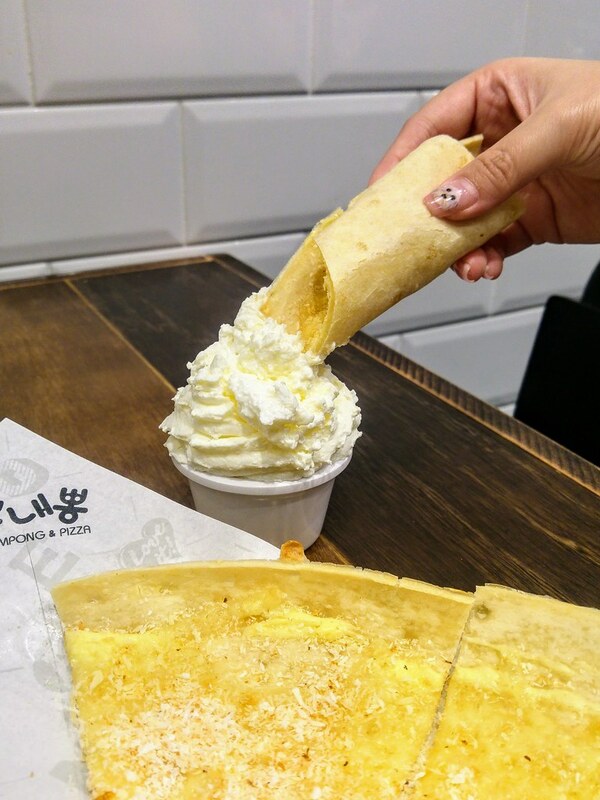 For Ni and Coco, both are served with homemade fresh cream. Coco Pizza surprises me the most. The combination of the cream and the coconut is finger licking good, and I really couldn't be bothered with the gloves provided. 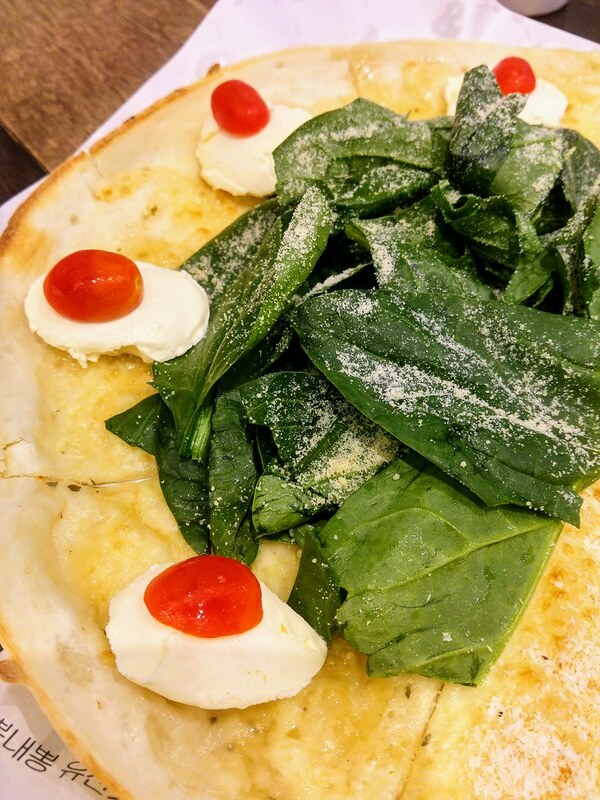 I do find the toppings on the pizzas a bit too thin, and Ninae Pizza is one that provides more texture and body with cream cheese and spinach. 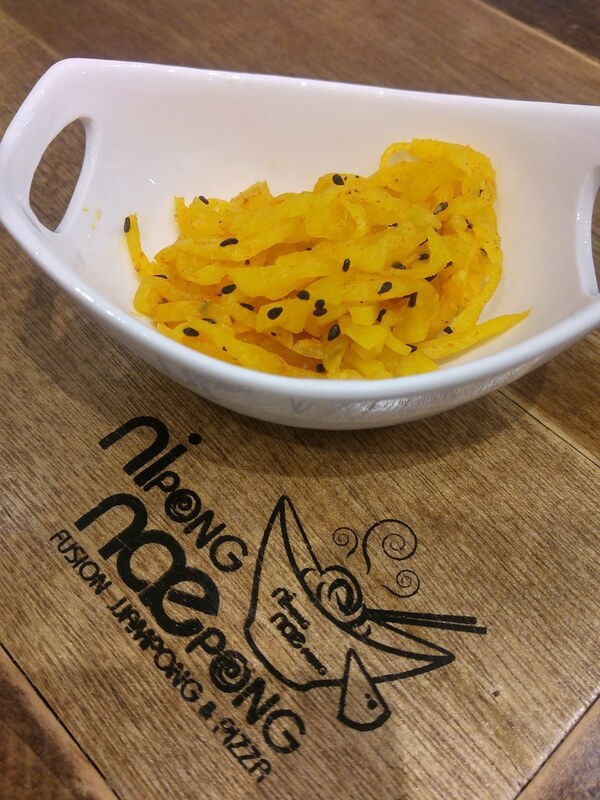 Being Singapore's first "ppong" speciality restaurant from South Korean, only at Nipong Naepong that you get to try ppong in your favourite soup base. 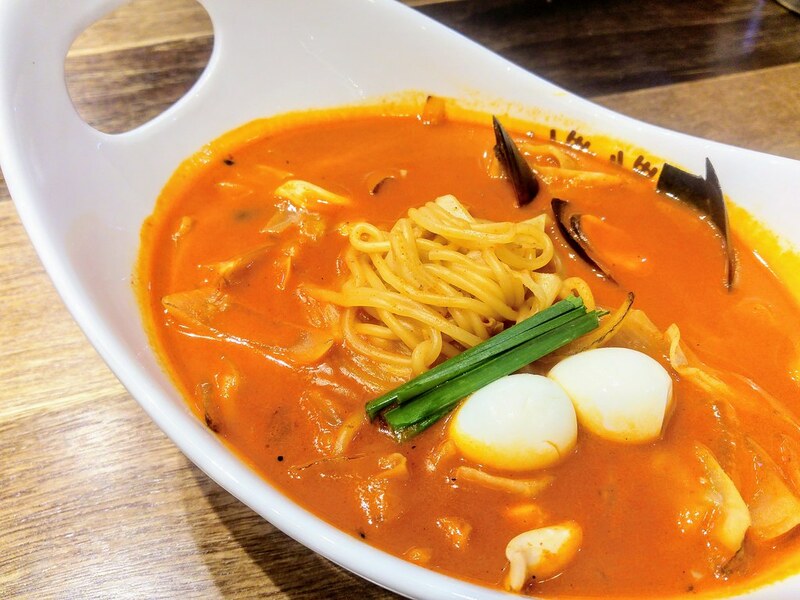 What's notable is that to ensure the noodles are springy and tender with a bite, it carries its very own jjolmyeon (wheat noodles) that are made exclusively in Korean for this brand. The same quality control goes to all the sauces and soup stocks that go into each bowl of the noodles. My favourite is still the classic, what's yours?